4. 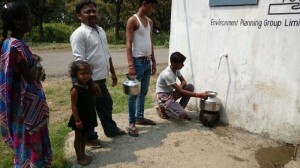 Customers are using and automatic billing system to pay for the water. The water shops were installed after that an analysis of the local water situation showed that a viable business model could be applied. This model was discussed with the local community and once a agreement was reached installation of the water shop was started. 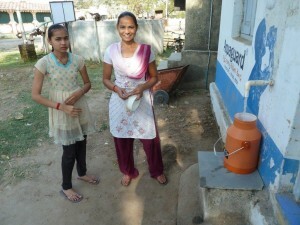 Having installed 10 water shops now, 1300 clients have started to use our service. The project is executed in close cooperation with our Dutch business partners Cordaid, our the Indian business partner EPGL Pvt Lmt. and the local Indian Government.